Pamper yourself or someone you love! Make these perfectly shaped bags for hot/cold relief of tired, tense shoulder, neck and back. 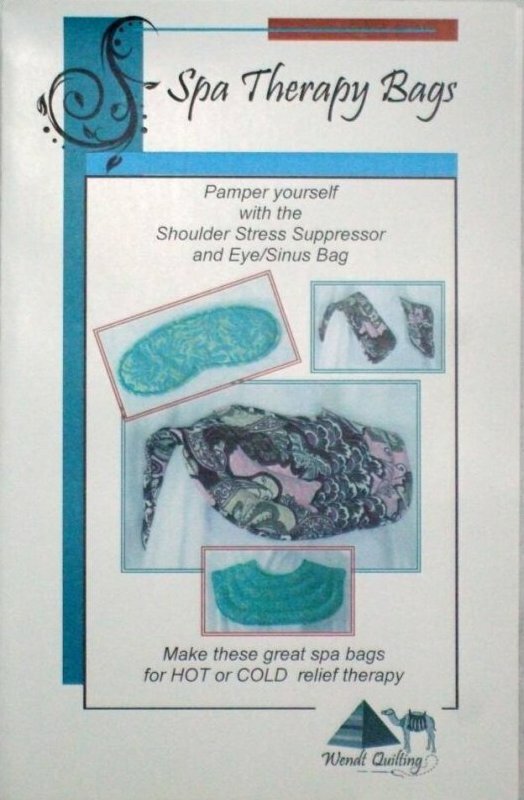 Pattern includes Shoulder Stress Suppressor and Eye/Sinus Bag. Full size pattern with color instructions and detailed photos.